I signed up for Text Link Ads long time ago, but didn't really put it on my site. 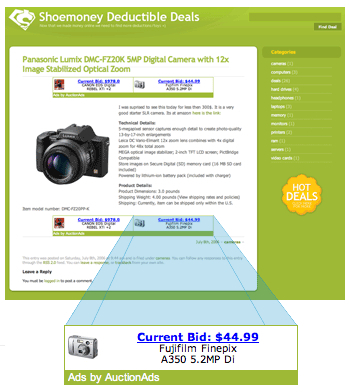 They introduced a new program, AuctionAds, which will display live eBay auction ads at your site. I just receive their email giving away USD 5, just for signing up as publisher.